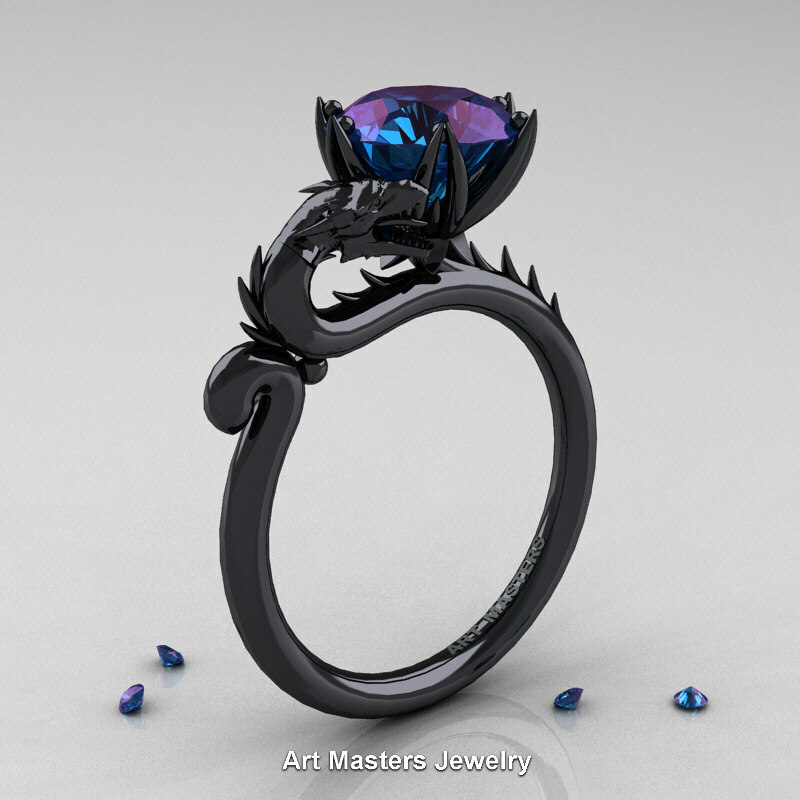 Luxurious and rich, this exclusive Art Masters 14K Black Gold 3.0 Ct Russian Alexandrite Dragon Engagement Ring R801-14KBGAL evokes superiority and excellence. 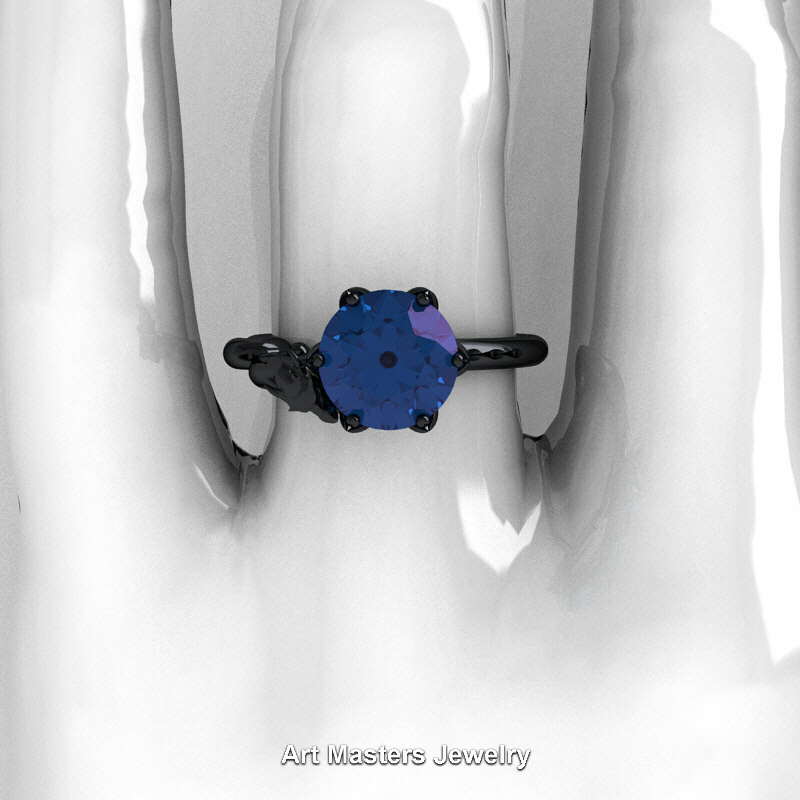 This spectacular designer jewelry piece would make an outstanding engagement ring, wedding ring or a great present to get for yourself. Black rhodium coat on 14k white gold will wear off in few weeks to few months, just like any rhodium does, providing vintage look to your jewelry. If desired, we provide 2 year (2 time) free black rhodium reapplication on all designer black gold rings for our customers. 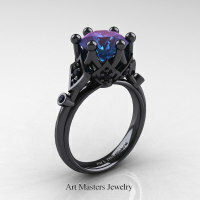 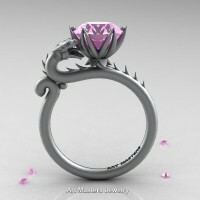 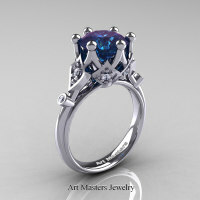 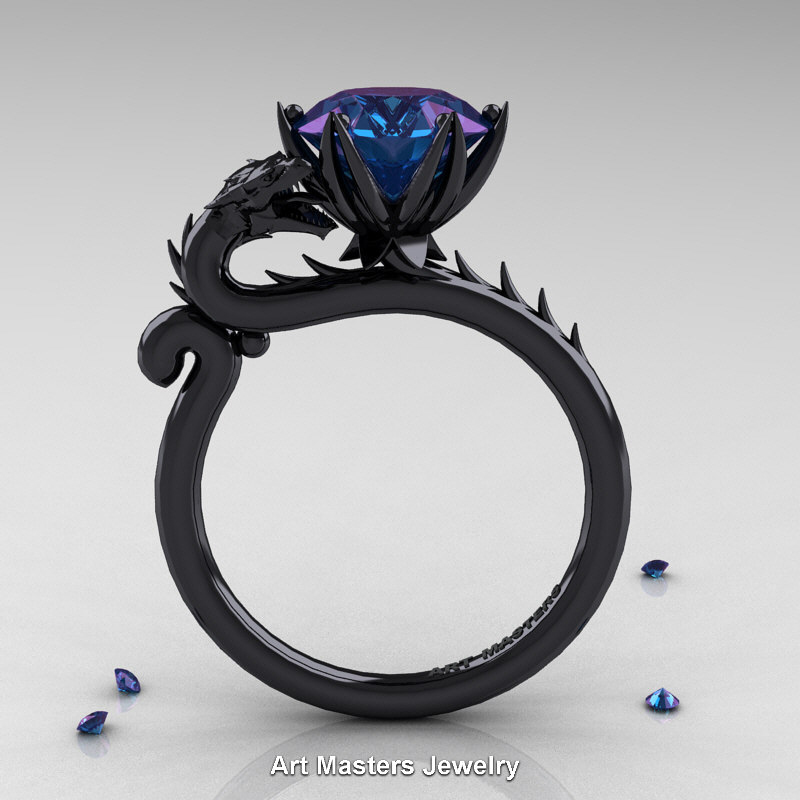 Be the first to review “Art Masters 14K Black Gold 3.0 Ct Russian Alexandrite Dragon Engagement Ring R801-14KBGAL” Click here to cancel reply.